The POS-X EVO-TM2B has reached end of life. It has been replaced by the POS-X ION TM2B. 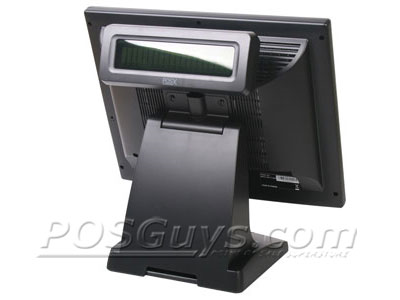 The POS-X EVO-TM touchscreen monitor packs great performance into an economical design. 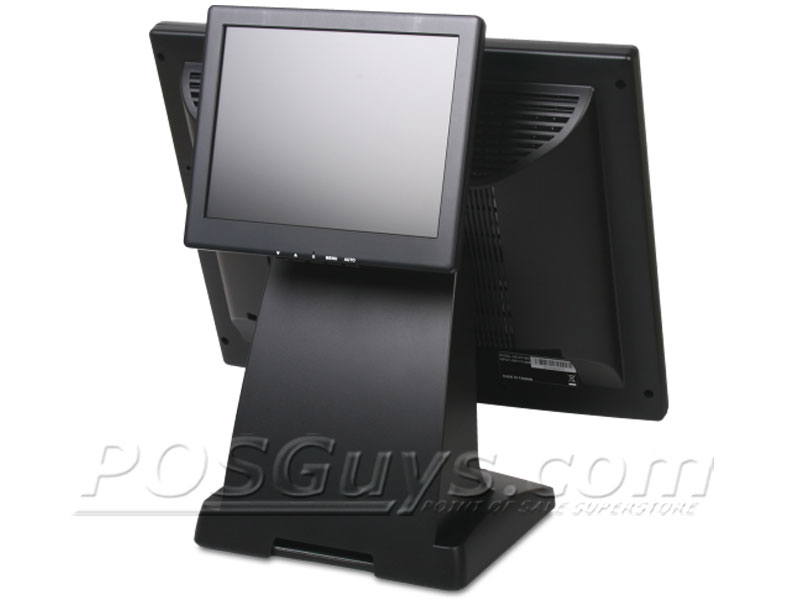 The 17" monitor gives you 1280 x 1024 pixels of screen real estate, enough to easily handle most point of sale software. 5-wire resistive touch technology provides precise accuracy when operating the screen, and the durable design is rated to withstand 50 million operations per location on the screen. The EVO-TM supports multiple configurations, giving you an option for most business layouts. The base of the unit can be removed, revealing VESA mounting options, ideal for wall or pole mounting. For added customer data display, including digital signage, an LCD monitor can be mounted to the back of the unit. This 17 inch touchscreen monitor includes three years of POS-X's award winning warranty service and can be extended two additional years by purchasing a POS-X monitor warranty extension at any time during the warranty period. Their standard warranty includes two day advance replacement* but overnight advance replacement and accidental damage can be purchased for added security. * Please see full terms and conditions. 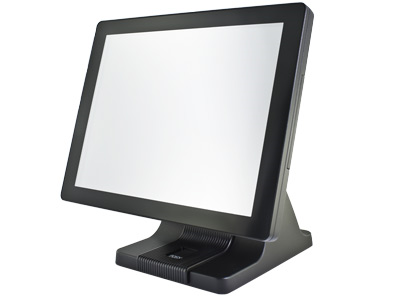 This 17” EVO touch monitor features all the same great characteristics found in the smaller versions of it’s line, smooth up and down tilting, sturdy aluminum base for added stability and highly responsive touch technology. 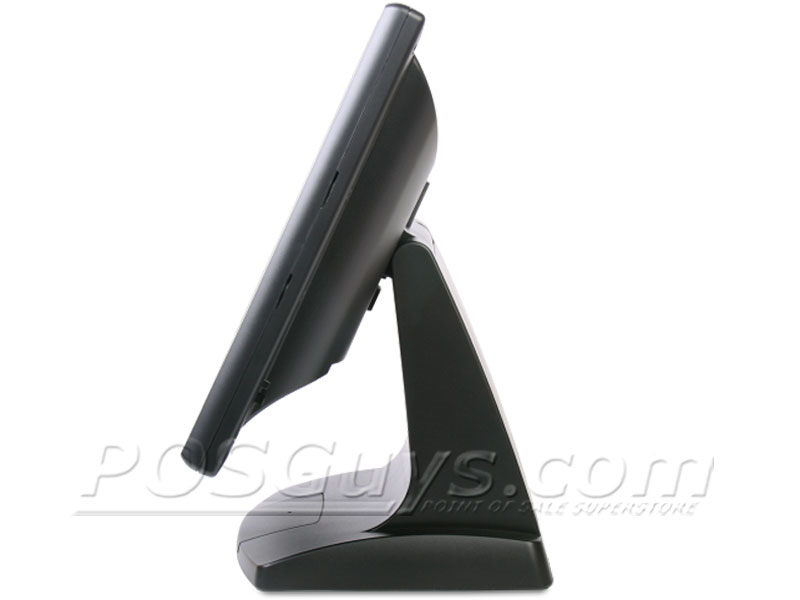 The 17 inch screen gives you a lot more space to work with, which is a benefit if you have a complex application or POS. Nobody likes accidentally pressing the button just underneath their intended target and it's simply much easier to see (and touch) your options on this larger screen. Find it faster! Click here to compare EVO-TM2B models by feature.